Pensions experts are breathing a sigh of relief following the minimal changes announced in the latest Budget. Despite speculation that pension tax allowances might be cut or adjusted, no such proposals were made. Instead, a 3% state pension rise and an increase in the lifetime allowance from £1m to £1.03m are the main pertinent components. The Budget appears to have been designed with younger people in mind, with measures including changes to stamp duty for first time buyers - a move that makes political sense following the results of the last election where Labour took 64% of the 18-29-year-old vote, compared with just 21% for the Conservatives. Barnett Waddingham's Malcolm McLean, welcomed the change in focus and lack of dramatic changes: "This was very much a steady as you go Budget, with no major surprises," he said. While the focus was distinctly on the younger generation, the change to the Lifetime Allowance (LTA) is still significant for pension funds. The LTA has been adjusted in the opposite direction in recent years, making the increase a largely positive step. The LTA has seen several reductions since 2012, including from £1.5million down to £1milion in 2014. The move was not a surprise either. Most of us in the industry expected to see the increase, but some feared an unexpected U-turn might be on the cards. Kate Smith, head of pensions at Aegon, said: "Fortunately, there was no U-turn in the LTA and this is good news, even if on the surface the increase isn't large. A small increase is welcome for those nearing the limit, but this is a complex area where people seek financial advice to avoid paying unnecessary tax." One other advantage for fund managers is the additional security the greater amount provides; giving advisers an even more solid background when they are working with clients. The 3% state pension rise was also a relief, while not being much of a surprise thanks to the Triple Lock, which is in place until 2020. 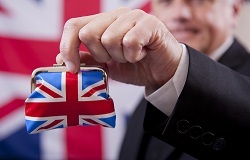 Overall, the quiet Budget and distinct lack of action on pensions point to a Government looking to steady the waters after what has been a turbulent time for both pensions and the wider financial community. The impact of Brexit is widespread and pensions have experienced huge changes in recent years. A calmer period for the industry will no doubt give people a greater opportunity to adjust the status quo. "No news is good news for pension investors," said Tom McPhail, head of policy at Hargreaves Lansdown. "The stability of no change is a welcome relief after years of political interference and the salami-slicing of reliefs and allowances. There may have to be further changes at some point in the future, but in the meantime, investors can make hay while the sun shines."